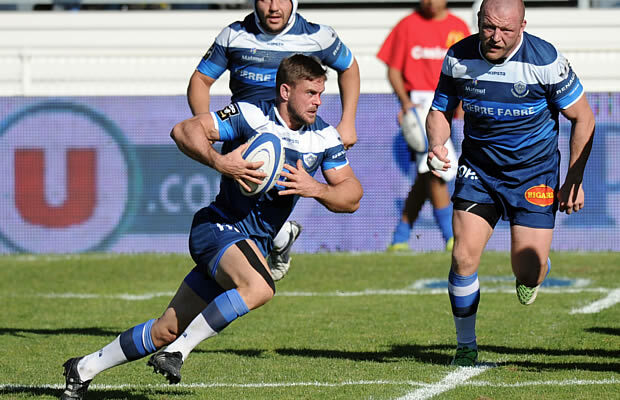 Castres bucked a three-match losing streak with a much-needed bonus-point 34-8 victory over Top 14 high fliers Racing 92 on Sunday. The home side led 7-3 at the interval after a try by Alexandre Bias converted by Rory Kockott, the South African-born France international scrum-half playing his 100th Top 14 match. Racing paid for their ill-discipline in the second-half, with yellow cards for Ross Filipo and Henry Chavency offering Castres numerical supremacy in the third quarter. And Castres did not let the opportunity pass, scoring three tries during the sin binnings through France-qualified New Zealand No 8 Alex Tulou (2) and ex-Toulon winger David Smith, Kockott nailing a penalty and two conversions. Louis Dupichot crossed for a Racing try in the 64th minute before Castres had the final word with a magnificent touchdown from France winger Remy Grosso after some slick handling tore holes in Racing’s porous midfield defence. Champions Stade Francais play Top 14 giants Clermont in Sunday’s late game. In Saturday’s action, Australian fly-half Quade Cooper enjoyed the ideal introduction to the Top 14 as he steered Toulon to a 52-8 thrashing of Montpellier. Toulouse would not be out-done as they also ran in eight tries to go second as they blitzed Grenoble 52-12. La Rochelle put Oyonnax to the sword, 38-3, while Paul edged Agen 33-31 and Brive notched up an impressive 16-3 home win over Bordeaux-Begles.